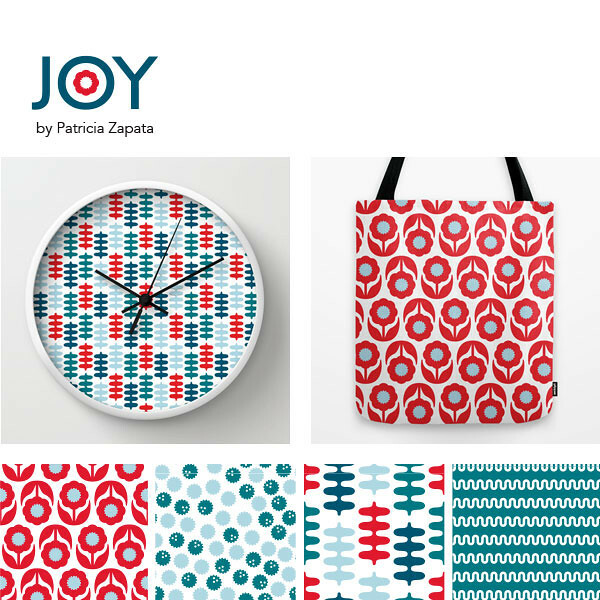 A Little Hut - Patricia Zapata: 2015 starts with joy! Happy new year everyone! Don't you just love the feeling of a brand new year? When I started to think about what I want to accomplish in 2015 I was working on this new collection. 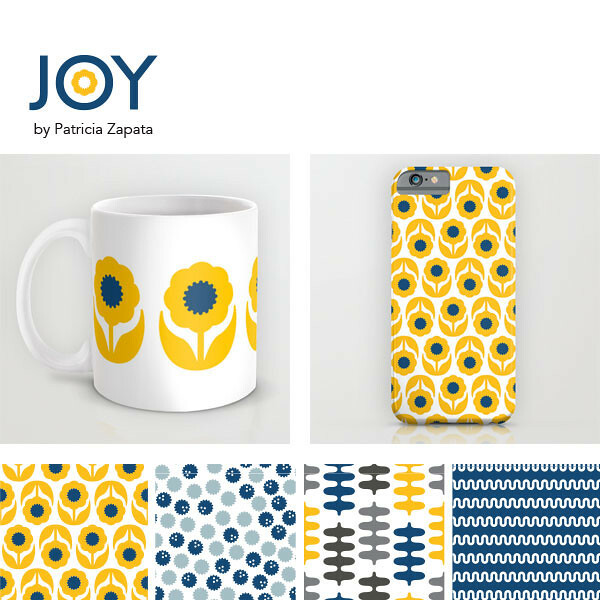 I decided to name it Joy because it was inspired by one of my favorite flowers—the Gerbera daisies. Daisies have always seemed like such cheerful flowers to me. I started sketching them out and whittled down the flowers and leaves to the simplest of forms. I like this part of working because dancing around that line of simple or too simple has always interested me. It feels like a challenging game of sorts (welcome to my inner workings! ha!). As I designed the patterns I tried coming up with different names for the collection and Joy just kept popping up over and over again. I did feel rather in sync, so clear-headed/focused and energized (almost giddy!) with the creation of every pattern so I guess the name is quite fitting. The first products using this line can be seen on my Society6 shop. 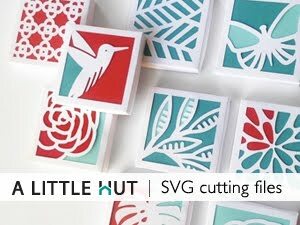 You'll see how I translate this collection to SVG cutting files very soon! No new year's resolutions around here! We're going to work on our Happiness Jars. I think it's a great idea and I can't wait to see all my favorite 2015 happy moments at the end of the year! Love the patterns! Please consider selling to a fabric company for retail sale for us home sewers! Cloud 9 would be a good match. Or Birch or Art Gallery. That's great news! Can you request they make it in both cotton and some canvas? It makes for some cheery home decor but also great girls dresses, tops and shorts. A third option of voile would be even better. I'm excited! I'll keep a look out! So pretty Patricia! I love your work!